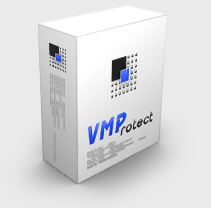 VMProtect is a new generation of software piracy protection. Protected parts of code are executed on a virtual machine with non-standard architecture that makes it extremely difficult to analyze and crack the software. VMProtect is an all-in-one solution for protecting software products. In addition to code protection, VMProtect can also generate and verify serial numbers, set expiry times, limit free updates and much more. Code Virtualization – the next step in software protection. Most protection systems encrypt the code and decrypt it when the application is started. VMProtect doesn’t decrypt the code at all! Instead, the encrypted code runs on a virtual CPU that is markedly different from generic x86 and x64 CPUs as the command set is different for each protected file. Support for Nearly All File Formats – VMProtect allows the protection of executable files (EXE, SCR), dynamic-link libraries (DLL, OCX, BPL) and drivers (SYS). Support for 64-bit Architectures – VMProtect allows the protection of both 32 and 64-bit applications, libraries and drivers. Support of Most Versions Of Windows – files protected by VMProtect may run on almost any version of Windows OS, starting from Windows 95. Both 32 and 64-bit versions are supported and VMProtect has no problems with DEP or UAC. Complete Protection Solution – VMProtect allows the generation and verification of serial numbers. Both manual and automatic generation are supported. Serial numbers can be limited by time or date and locked to the hardware, while the free upgrade period can also be limited. VMProtect ensures it is physically impossible to run code without a serial number. VMProtect ships in several editions, so you can choose one that best suits your needs. Ultimate – the maximal level of protection for your software combined with strong serial numbers. Supported virtualization and mutation of code, debug and memory protection and much more. Professional – designed for those who have their own serial number management system. This can easily be upgraded later to the Ultimate version. Lite – the start level edition with simplified user interface. This does not support scripts and has no console version. SenseLock Edition – a special edition for use with SenseLock USB dongles.